Portugal golf course. 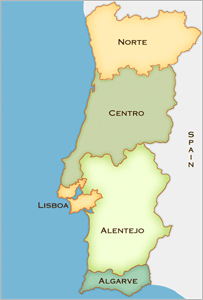 Popular Portugal Golf Destinations. Popular golf hotels in Portugal. 2015 All Inclusive Portugal Golf Packages. Taking a golf vacation is one of the best ways to relax and get away from the stresses of real life, and Portugal is one of the finest destinations in the world for just that purpose. Here at PTGolfHolidays.com we specialize in offering golf packages that will allow you and your friends or family to travel with ease and enjoy some of the most beautiful courses this great country has to offer. Portugal golf breaks are vacations that you will be sure to remember for a long time, so book yours today and start looking forward to playing some incredible new courses. Golf holidays Portugal can be hard to book when you are planning the trip on your own. A golf holiday needs a lot of different parts booked in unison to come together as a seamless experience in the end. Rather than trying to book tee times, hotels, transportation, and more all on your own, let us do the work for you. Here are PTGolfHolidays.com, we provide all inclusive golf holidays that are user friendly and stress-free. You won't have anything to worry about except which club to hit off the first tee. Some of the best golf holidays Europe has to offer are found in the small nation of Portugal. There is a warm, Mediterranean climate in this country, making for great golf conditions year round. The fairways are sure to be beautifully green, and the ocean breezes will be both refreshing and challenging for your game. Golf breaks Portugal have gained in popularity in recent years because of just how welcoming and exciting this country is to visit. Portugal golfing is an exciting experience for those from nearby countries in Europe or from half a world away. No matter where you live or what your experience is traveling internationally, PTGolfHolidays.com makes it easy to experience a trip and rounds of golf that you will never forget. Of course, there is much more to Portugal than just golf. When your rounds have ended for the day, the fun might just be starting. A vibrant country with incredible scenery and culture to experience, your Portugal vacation is sure to impress far beyond just pars and birdies. Whether you enjoy wild and loud nightlife or a quieter dinner out with your party, any kind of evening enjoyment is available in Portugal. Of course, when the sun rises on the next day of your vacation, you will be able to look forward to another round on a course you have never seen before. Portugal golf breaks through PTGolfHolidays.com allow you to consider all of the great golf regions within the nation of Portugal. Some of the more popular locations to head for a golf holidays Portugal include Albufeira, Almancil, Altura, Batalha, Baleal, and more. Instead of searching through all of these locations yourself and trying to pick hotels, tee times, and more, put the work in our hands and sit back and relax. We will put together a package that works perfectly for what you need and we will take care of all of the little details along the way. A good golf holiday is one that has no stress and allows you to forget about everything that life has you worried about. All inclusive golf holidays are one of the easiest and most popular ways to enjoy new courses in counties all around the world – and Portugal is one of the destinations that travelers love most. While taking golf holidays in Europe, you can choose from many different countries that have beautiful golf resorts and vacation locales to consider. There are the legendary courses in the UK, locations in Turkey and other inland Europe spots, and in Spain – right next to Portugal to the east. However, there is something special about golf breaks in Portugal that will have you wanting to come back time after time. PTGolfHolidays.com can set you up with a trip you will not forget and will be telling all of your golf friends about the incredible courses you have seen. Portugal golfing is about more than just trying for a good score – it is about enjoying the people, scenery, and lifestyle of this relaxed-yet-modern nation. If you have never taken a golf vacation to a foreign destination, you owe it to yourself to give it a try. The golf courses that PTGolfHolidays.com will book for you within Portugal are some of the best in all of Europe. Along with championship courses go excellent hotel accommodations and wonderful restaurants to enjoy when the round is complete. A golf holiday in Portugal is not just about the golf, but the entire vacation experience from start to finish. Whether traveling with a group of golfing friends or your own family, everyone is sure to love Portugal. Let PTGolfHolidays.com book your all-inclusive trip today and get ready to change your golfing life forever.